I love it when a past client comes back years later for a redesign. It tells me that they take their branding seriously, and want to keep up with the trends. 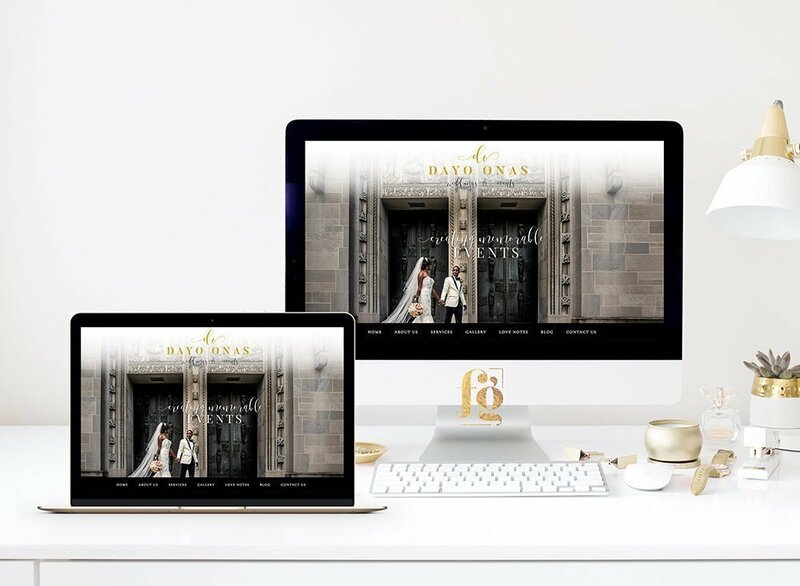 If you are a creative entrepreneur, staying on trend is important – so you’re going to want to keep your logo and web design fresh and up to date. I think this is a constant struggle among creatives though – the pull between a classic, timeless design, and one that’s trendy and current. On the one hand you’ll have a logo that will never go out of style, on the other hand it might be considered boring and unimaginative. A trendy design, on the other hand, shows that you are keeping up with what’s current, but you will have to change it before it goes out of style; that means investing in a redesign every couple of years. Dayo Onas belongs to the fearless kind of entrepreneur. 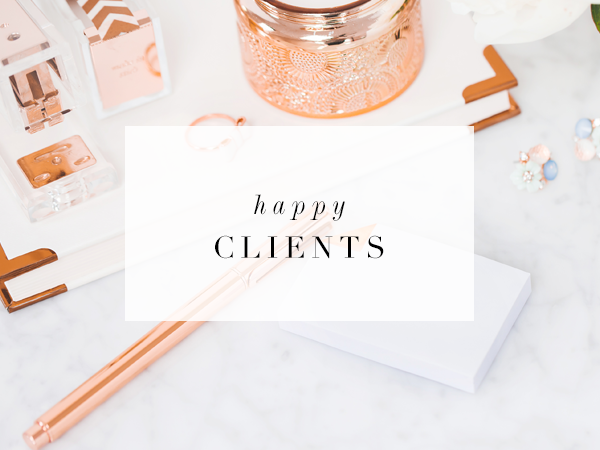 She and her team provide luxury and signature event planning and floral design. Their events are glamorous and filled with luxurious details. 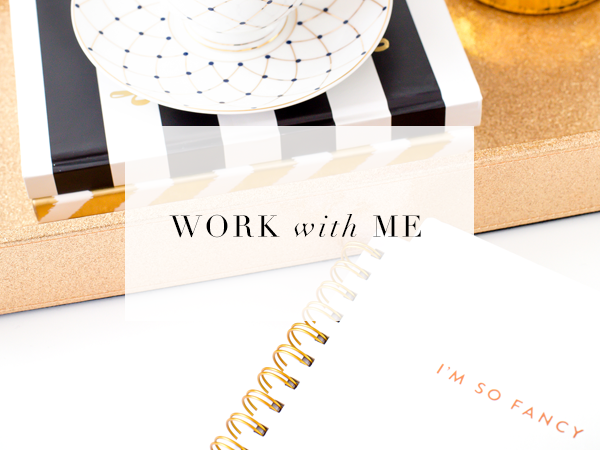 She therefore wanted a logo and website design to match. 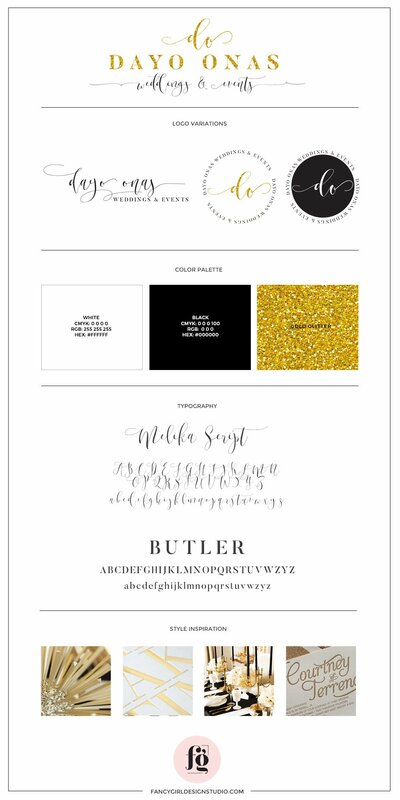 We started with the logo design questionnaire, which is very detailed, and she also submitted a curated Pinterest board with all of her visual inspirations for her new logo. I took all of these and created a moodboard that would guide the whole project. 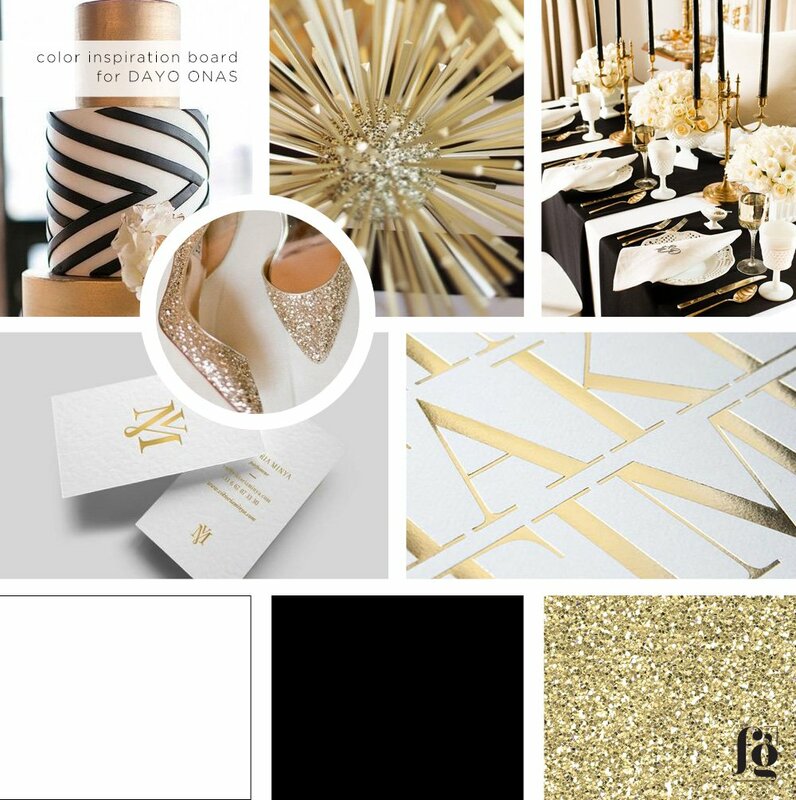 The overall look is one of glamor and sophistication, with only black, white, and glittery gold. Dayo wanted a logo design that included a modern calligraphic script paired with an elegant serif. We added a monogram that they can use as a submark. Thankfully, they had the most amazing portfolio that didn’t need much ornamentation to showcase. They weren’t kidding when they said they specialized in luxurious events! We had a hard time even narrowing down the choices for the homepage slider, and we were going for maximum impact. 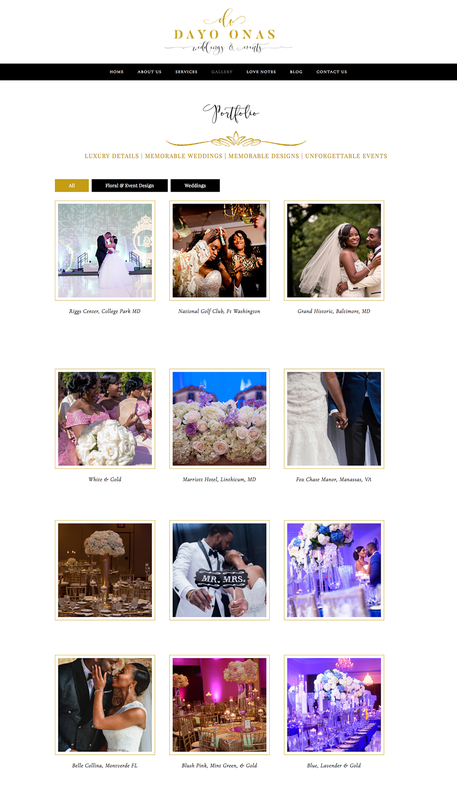 In the end we chose images that were glamorous, and showcased both weddings and floral design. On the homepage, the menu bar is pushed down below the slider, with the logo sitting nicely a the top. I added some animation so the elements below will also catch attention once you scroll up. 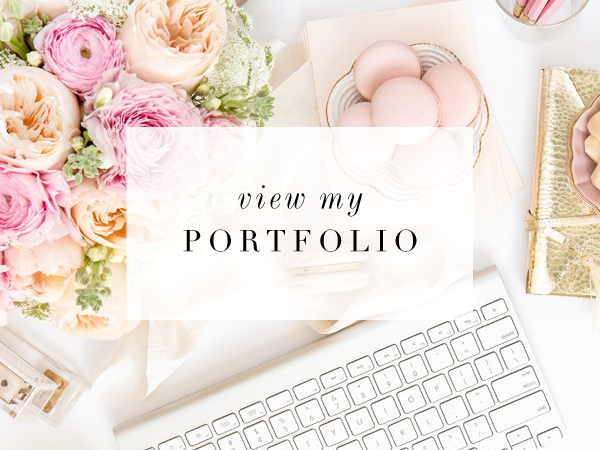 The portfolio page is filterable by category, so viewers can sort them if they want to view only floral design, or events. 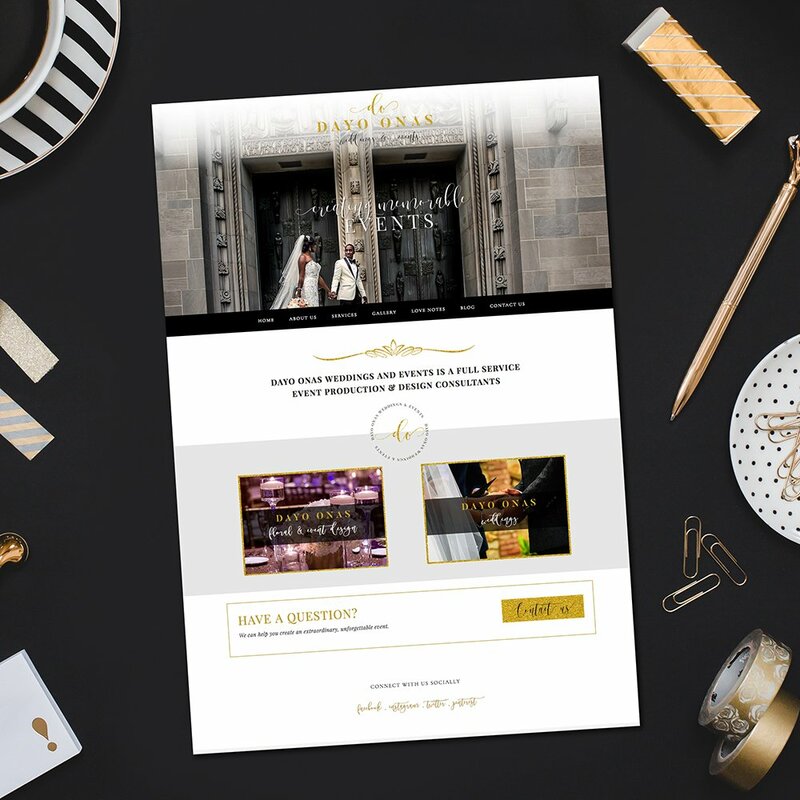 There are so many other elements all over the site – custom pin it buttons, a custom scroll to top button, calligraphic social media links, among others. Do visit her site to check it all out! It is fully mobile responsive, of course, and built on the Genesis Framework.